Shisi Pharmaceutical Group (02005); Chinese Traditional Medicine (00570); China Jinmao (00817); China Resources Land (01109); China Mobile (00941); Hua Hong Semiconductor (01347); China Aircraft Leasing (01848); MGM (02282); Xinyi Glass (00868); China Guangdong Nuclear Power (01816). Weichai Power (02338) rose 17.33%; IGG (00799) rose 14.65%; China Overseas Development (00688) rose 9.25; Galaxy Entertainment (00027) rose 8.02%; CICC (03908) rose 6.93%; AVIC ( 02357) rose 6.9%; Longhu Group (00960) rose 6.85%; China CRRC (01766) rose 6.65%; Australia (01717) rose 1.87%; Haifeng International (01308) rose 0.68%. In 2019, the HSI finally began to counterattack, and the bright sunshine in January also laid the foundation for the recovery of the whole year. For the next February, the market is also a bit more expectation. First, the instability of the situation in Venezuela, this one, focuses on whether the situation has deteriorated. The obvious sign is to observe whether the United States will use force. As long as it does not use force, the situation is controllable and has little impact on the stock market. Second, Trump will publish a State of the Union address on February 5th. It is necessary to focus on the expression of Sino-US relations. If there is unfavorable remarks, be careful about the impact on the stock market. The third is the issue of Brexit in the UK. The main point of observation is that there should be no agreement to leave the EU. This risk point is relatively low. A high probability will extend the time for Brexit. 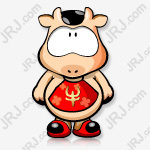 Generally speaking, the stock market will have a Spring Festival. In January, the HSI has broken through a number of important pressure levels. The above pressure is mainly the annual line. It is expected to be around 28,500 points. This position is a very important point. The probability is This point will cause vibration, the probability of a one-time breakthrough should not be too big, because after all, the fundamentals are not so strong, the nature of this wave of market is still a repairing rise, can not talk about the turning market. If you successfully break through the annual line, you need to have a better than expected. In January, the market explosion and the impairment of goodwill will come to an end, the focus of the market will turnGood performance expectationsandMistaken varieties in the early stage. Typical variety isestatewithmedicineThese two sectors are still worthy of attention. There is also a policy driven5G,chipandBuilding materials. Emotional targetGaming classAnd unique in the industryLease class. The overall capital flow will tend to recognize the deterministic stock opportunities, which will inevitably lead to a pattern of strong and strong styles under the same style. The company is mainly engaged in large infusion. The large infusion accounts for more than 90% of the whole product. It is currently the second in the industry. The core infusion business is not affected by the policy of centralized procurement of chemical generic drugs. The company's product portfolio is strictly controlled by the government. The risk is also quite limited, reflecting that the worst case of the intravenous infusion industry has ended after industry consolidation. The average selling price of intravenous infusion products is expected to continue to rise. Future growth drivers will come from improved operating leverage, strong sales of high-margin soft bags, and rising average selling prices. The company is expected to increase the qualification of Guizhou Province formula pellets and continue to break local protection; the company is a leading domestic pellet manufacturer with obvious advantages in the whole industry chain layout. In addition to the publicity of Guizhou Tongjitang, the company announced last month that its subsidiary, Zhonglian Pharmaceutical, obtained the qualification of Hubei Province Formula Granule Pilot Enterprise. At present, in addition to the original Jiangyin Tianjiang and Guangdong side two national-level formula pellet sales licenses, It has obtained pilot production licenses in seven provinces and cities including Sichuan, Shaanxi, Heilongjiang, Chongqing, Fujian, Yunnan and Hubei. We expect that the company will continue to accelerate the deployment of provincial-level formula granules in the future before the introduction of the national standards and management methods for formula pellets, and it is expected to continue to break local protection barriers and expand market coverage. Jinmao's scale: In 2018, the company achieved sales of 128 billion yuan (including land first-level development), an increase of 84.70%. Brand effect: The core areas of China Jinmao's core cities are pre-arranged investment properties, and they are all local benchmark buildings, which not only can bring stable rental income to enterprises, but also effectively lay a solid foundation for the “Jinmao” brand. At present, the company has formed three series of product lines: “Fu, Yue, and Shu”. Even the Yue Series, which is mainly based on customers, can fully enjoy the brand's premium effect compared with other enterprise products. Business: As of June 2018, the company's total borrowings (short-term loans + long-term loans) totaled 80.06 billion yuan, of which short-term loans accounted for 28%, down 11 percentage points from 2017. The company's leverage level dropped slightly. The company's net gearing ratio was only 66% in the first half of the year, down 3 percentage points from 2017. The state-owned assets background enables the company to maintain lower financing costs and has a clear advantage in the industry. Due to the carry-over of the Shenzhen high-margin project, the company's gross profit margin for the first half of 2018 was 48.1%. Secondly, the company's first three quarter contract sales and total rental income increased by 55.4% to 156.4 billion yuan (RMB? the same below) and 29.5% to 6.9 billion yuan. As of the end of September 2018, the company has completed 85.4% of its annual sales target of 183 billion yuan. The investment property, especially the operation of the shopping center, is the advantage of China Resources Land. The company expects to open eight/seven/six shopping centers respectively from 2018 to 2020, which will bring strong rental income growth to the company. The operating data of the three major operators in 2018 were announced one after another, and China Mobile maintained its strong position in various businesses. China Mobile is still in the first place in terms of mobile subscribers and 4G subscribers; in terms of incremental, China Mobile has become the top three business leader in terms of fixed-line business, China Mobile has surpassed China Telecom in the middle of the year, and China Mobile has become the top three business leader. It is expected that operators' related businesses will enter a slow growth track in the future. In addition, on January 30, China Mobile Communications Group Co., Ltd. and Huawei Technologies Co., Ltd., United Nations Power Investment Group Co., Ltd. completed the first end-to-end business verification of the nationwide 5G network-based, multi-scenario smart power plant in Jiangxi Photovoltaic Power Station. To build a wireless, unmanned, interconnected and interactive smart station, this is an important breakthrough in the application of 5G technology in the smart energy industry. The company announced that its sales revenue reached a new high in the fourth quarter of 2018. Despite the general weakness in the market, the momentum of development continues to be strong. Sales revenue reached US$249.1 million, up 14.8% year-on-year and 3.3% quarter-over-quarter, mainly due to increased demand for bank card chips, MCUs, super-junctions and general-purpose MOSFET products, as well as continued high capacity utilization and average selling price. The Wuxi plant project is progressing steadily as planned. It is expected that the construction of the plant and clean room will be completed by the end of the second quarter. The equipment will be moved into the equipment in the second half of the year. The company's R&D activities started as early as a few months ago. With the commissioning of the Wuxi plant, the production capacity will be limited. Great relief, which will make the company's performance even higher. The company announced at the end of December that it had entered into an Aircraft Purchase Agreement through a wholly-owned subsidiary to order 25 Boeing 737MAX aircraft. The agreement was signed in the form of a supplemental agreement to the 2017 Aircraft Purchase Agreement. The order will be delivered in stages until 2023. Under the agreement, China Aircraft Leasing was granted a purchase option and an additional 25 aircraft could be purchased under similar terms and conditions of the agreement. Due to the opening of the US Lions MGM, the company's mid-field business and slot machine business revenue increased significantly in the first three quarters of 2018. From the perspective of business structure, the VIP room business and the midfield business are expected to continue to grow, driving the participation of visitors to Australia. The penetration rate of gaming is expected to be an important growth driver. During the Lunar New Year, mainland Chinese people’s desire to go to Macao has increased significantly. Gaming stocks may have the opportunity to speculate. In addition, Macau is expanding its international routes and increasing new routes to and from the Mainland, especially free-ride cities outside Guangdong. increase. Because the production costs of the float glass industry are expected to decline and the real estate pre-sales data is satisfactory, this will translate into a strong demand for architectural glass. As the fundamentals of the industry improve, the market expects that the new policy will eliminate market concerns about the growth prospects of Xinyi Solar. It is expected that the spin-off will be completed in a short period of time, Xinyi Glass will benefit indirectly, because the market will improve the sentiment of Xinyi Glass, and considering the performance of the stock before the lag, there is potential for the market to fill opportunities. As a pure nuclear power operator, CGN Power's revenue will grow steadily with the commissioning of the units under construction. The company's operating data in the fourth quarter of last year was strong, with positive surprises including a 10% increase in net power generation (consolidated basis) in the fourth quarter. In addition, the management attributed the high load factor of Ningde and Hongyanhe to the newly opened East China/Zhejiang. And the transmission channel of North China/Shandong; and the high load factor of Fangchenggang is attributed to the strong power demand growth of Guangxi in 2018, and the current valuation is still attractive. Weichai Power (02338) rose 17.33%, IGG (00799) rose 14.65%, China Overseas Development (00688) rose 9.25, Galaxy Entertainment (00027) rose 8.02%, CICC (03908) rose 6.93%, AVIC ( 02357) rose 6.9%, Longhu Group (00960) rose 6.85%, China CRRC (01766) rose 6.65%, Australia (01717) rose 1.87%, and Haifeng International (01308) rose 0.68%.